Stange Law Firm, PC offers divorce and family law attorneys who are dedicated to providing their clients with quality legal guidance. The matters that our legal team can assist in include: divorce, high asset divorce, prenuptial agreements, legal separation, child support, child custody, domestic violence, grandparent visitation rights, and other related matters. Our law firm prides ourselves in providing quality legal services throughout the Midwest in Missouri and Illinois. With offices in St. Louis, Kansas City, Columbia, Springfield and the surrounding areas, we offer the resources and legal staff to help with your family law case. We offer a half-hour consultation for those who are in need of legal counsel. If you're looking to find a divorce and family law attorney in the St. Louis (Clayton), Missouri area, call us at (314) 963 - 4700 or visit us online to set up your appointment. The attorneys at our firm are devoted to developing and flourishing a trusting relationship between the client and the attorney, and the attorneys at our firm have established a reputation for excellence in addressing the host of emotional, financial, and legal issues surrounding family law. At Stange Law Firm, PC, the clients received the attorneys undivided attention, respect, and support that each client rightfully deserves throughout their legal process. Our attorneys understand that your family law matter is on the top of your priority list and they strive to stay sensitive because they understand the strain litigation can put on you, your family, and your friends. 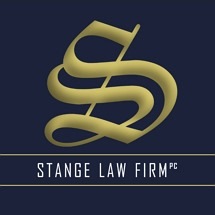 Potential clients of our firm can be assured that Stange Law Firm, PC possesses the resources and legal staff that use confident and common sense approaches in the practice of law, and will give every client the attention that their case requires. Our attorneys give their clients their personal cell phone numbers, and strive to return calls within the same business day. The clients of our firm also receive 24/7 hour access to their case and files online via our website. Note: The choice of a lawyer is an important decision and should not be based solely upon advertisements. Kirk C. Stange is responsible for this content. Principal place of business 120 South Central Avenue, Suite 450, St. Louis (Clayton), MO 63105.